This is what I wore last Friday, hoping to blend in with the snow predicted to fall in the mountains. I definitely got my wish! Check out my twitter @jkschroeder to see my photo from Vail yesterday. Another version is on my instagram, which is also @jkschroeder. Hooray for snow! 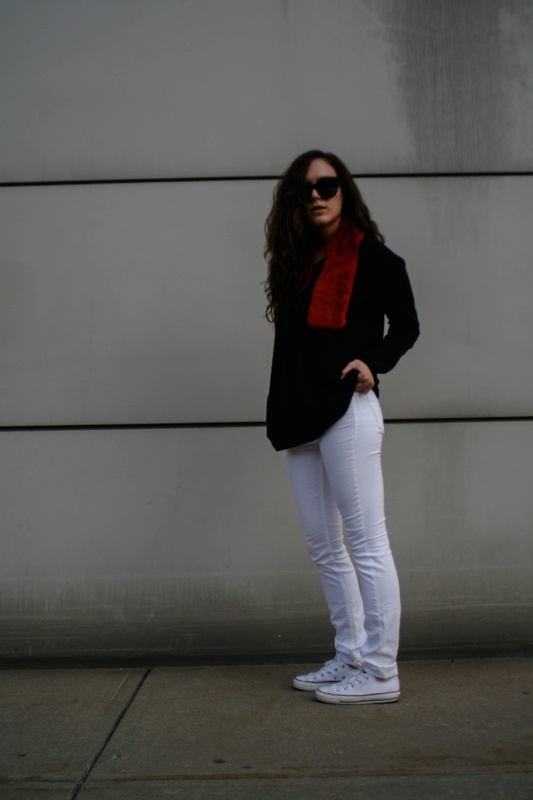 Céline sunglasses, Layfayette 148 scarf (different color), Vince sweater (similar) and jeans, Converse Chuck Taylors. 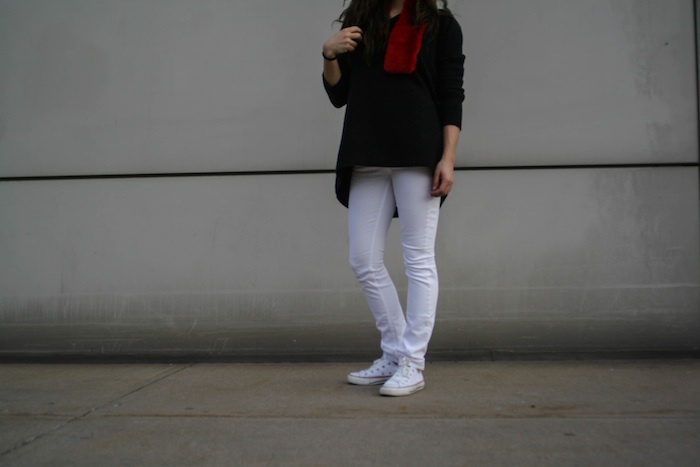 Love the winter white in this outfit. You pull off these pants so well! And your pictures on instagram from skiing in the mountains are so pretty! I'm already a bit sick of winter but your photos make me want it to last just a little longer. 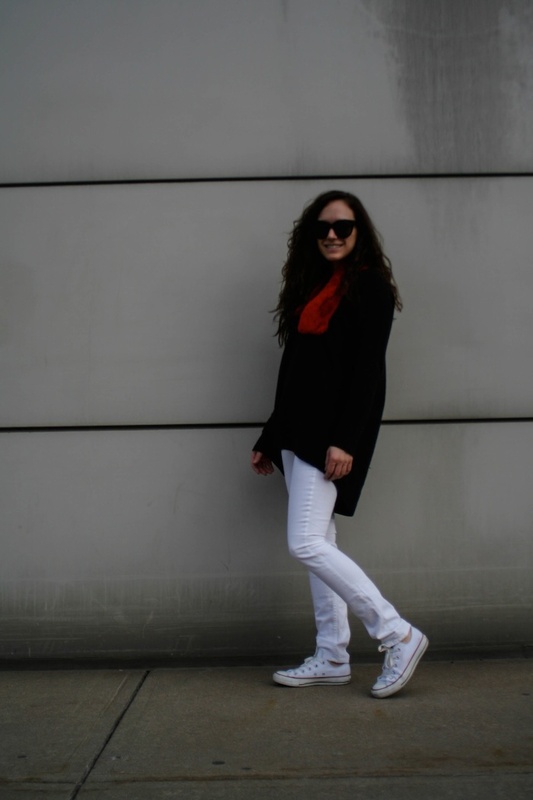 I love the white jeans and white chucks, so cute! I love your outfit! Super chic and comfortable! 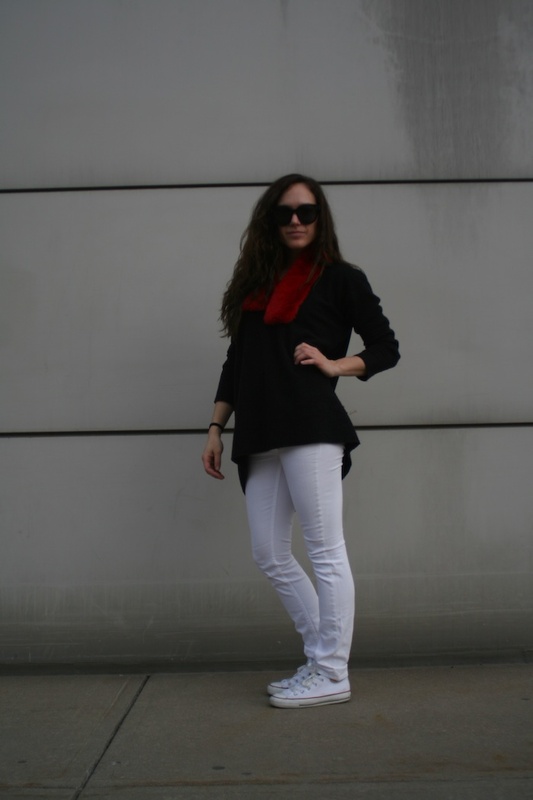 Love the bold move of white pants in the middle of winter - rock it!! I love winter white! Great look lady! Nice pants and cute post <3 would you like to follow each other?